My Birthday was a few weeks ago, so I wanted to make sure I picked a few good places to try out. Notice I said Places--Plural! My Birthday celebration always lasts a few days even though Brandt believes everyday is my Birthday! I wanted to try EVO since it is a place I considered would be a great special occasion type restaurant. I was absolutely right! EVO, is a small, quaint Italian restaurant in Tequesta where you will enjoy home cooked, feel good Italian food. As we enter EVO, We walk into a small room with an elegant, modern feel. Old classics sung by Sinatra and new classics by my favorite, Michael Buble are played in the background. It really is a nice setting and a perfect place for a romantic date night. There is not very many tables, so make sure you do make reservations early, especially during season. Evo was a place I actually wanted to try for Valentines Day and could not make a reservation even when I called a good two weeks in advance!!! As we let the wine breathe for a moment we are greeted by a friendly and very knowledgeable waitress. She tells us about the most popular items and signature dishes, and assures us that Chef Erik can prepare us whatever we wish! They bring out their olive oil and balsamic vinegar with fresh baked bread! I thought they displayed this so cute! One of their signature appetizers is the "Il Carciofo Alla Romana." Imported long stem artichokes, sauteed in lemon, butter, white wine, and garlic. Then baked and finished with Parmassean and EVOO! My Dad is a calamari lover so he tried the Calamari Arrabiata Sauteed! The Calamari is pan sauteed in tangy Italian cherry pepper-plum tomato sauce and then served over toasted crostini's. It was good, but make sure you like peppers! Brandt and I shared the Meatball. It is Chef Erik's mothers secret recipe. YUMMY!! I was soo excited to try the gigantic meatballs, I didn't notice that my picture came out a little blurry. Sorry. Next up--the Main Course! My Mom and I both try one of their signature Entree's "Salsa di domenica" or better known as Sunday Gravy! This dish consists of braised tender pork simmered all day with tomatoes, garlic, and onions. Topped with fresh whipped ricotta cheese and basil served over rigatoni. It was a very flavorful dish however I would have liked it to be a little more tomato saucy. Brandt had another favorite, Rigatoni Bolognese ~ Ground veal, pork and beef ragu, finished with a touch of cream and fresh ricotta! I thought Brandt's was a little tastier then mine as well as creamier! My Dad goes for one of their specials, rigatoni with homemade sausage! After a big homemade Italian feast, EVO surprised me with a delicious Tiramisu! 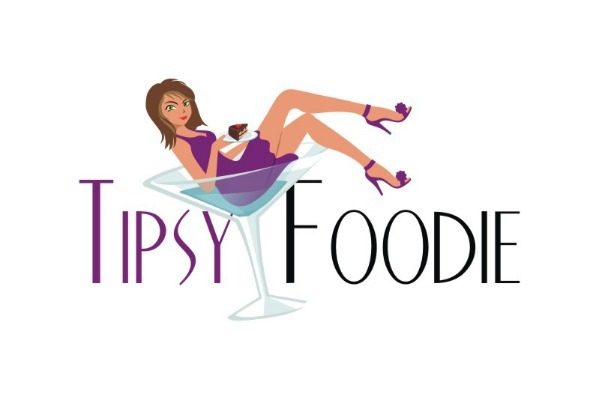 HAPPY BIRTHDAY TO TIPSY FOODIE! Evo was a great place to celebrate! We had an intimate, homemade meal, where you can tell everything is fresh and homemade. I would definitely go back to try more of their Italian signature dishes! When I say "Oysters," you say "Spoto's." "Oysters" - "Spotos" "Oysters" - "Spotos." When I think Oysters, all I think of now is Spoto's!! They seriously have the best and I mean the best oysters! They are so cold, so fresh, and worth every penny. At Spoto's Oyster Bar you can find the freshest shellfish including a variety of oysters from different parts of the cape as well as fresh mussels, clams, crab, and lobster. All of it is Oh So Yummy. Spoto's has a full oyster bar where they display all of their fresh shellfish they offer. Ice is constantly being sprayed on all of their shellfish keeping it perfectly ice cold. Even if you are not a oyster lover, Spoto's has a ton of other seafood options that are to die for and will keep you coming back for more. I have been craving oysters for quite some time now, so after a small temper tantrum the night before, Brandt finally agreed to take me last night! Brandt and I do frequent Spoto's often for happy hour and during the Summer they have Happy Hour till 7pm which makes it a great place to grab a beverage and a half priced appetizer. I started the night off right, with my favorite... a Dirty Martini with Blue Cheese Olives! I probably could drink a whole glass of olive juice, but I always love me a Dirty Martini! We started off with, of course a dozen Blue Point Oysters....SOOOO GOOD!!! And Spinach and Artichocke Dip! Very fresh and tasty! Brandt ordered another appetizer, Tuna Avocado Stack! Our friend Carl ordered yummy, delicious Clam Chowder. It was all gone before I got to try some from his bowl. Luckily his wife ordered a cup as well and I was able to steal a spoonful from her. So Rich..So Creamy! After all my oysters, I was stuffed and had to save some room for dessert because it is soo heavenly (and Homemade). Carl did have the Stuffed Chicken Florentine! So I really come to Spoto's for two things, the Oysters and the Coconut Cream Pie. The Coconut Cream Pie is so fresh, so "coconuty", so creamy, so HEAVENLY!!!! You have to try it! Because I was tipsy and on the weekends I am a fatty, we also ordered the Chocolate Peanut Butter Pie! If you love Reese's, you will LOVE this pie! So after fighting over who gets the last bite, We were all full but completely satisfied. Spoto's is a great place to go! Happy Hour is always fun (when you can get a seat.) Interesting conversations are a guarantee at the bar with the person next to you. I highly recommend following Spoto's on Facebook, as they will always post specials and events that are being held. Also, don't forget to become a member of their rewards program. Every $250 you spend, you will receive $25 off your next bill. Go to Spoto's Oyster Bar, it is a definite Pearl!